Trim the ends of the Brussels sprouts. 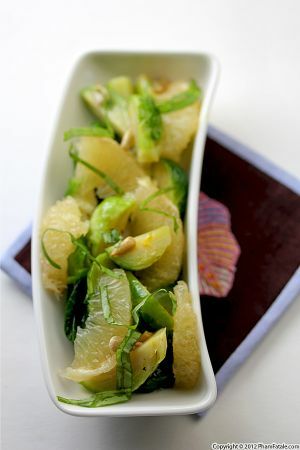 Using a paring knife, make a deep criss-cross incision at the bottom of the vegetables. That way they'll still hold together and will be cooked through. Place them with the carrots in a small pot and cover with enough cold water to barely cover the vegetables. Bring to a full boil, then lower the heat to medium-high. Cook for 12 minutes. Drain the vegetables, leaving about 4-5 in the pot; continue to cook them until very soft. Drain them. Once the veggies are cool enough to handle and have dried (with no excess water), drizzle with 3-4 tablespoons oil. Season with 1 clove garlic, salt and pepper. Place the vegetables on an oiled baking sheet. Roast for about 20-25 minutes. When there's a nice brown crust, your veggies are ready! In a large non-stick pan, heat 2 tablespoons olive oil. Add the remaining garlic and shallot and cook until golden and fragrant. 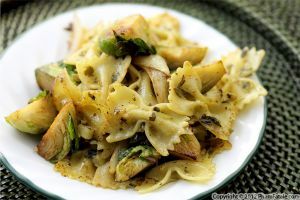 Add the cooked pasta and toss for 2-3 minutes until lightly brown and fragrant. If the pasta starts sticking to the bottom, add a little pasta water. Transfer to a platter. Add the tomato sauce to the pan. 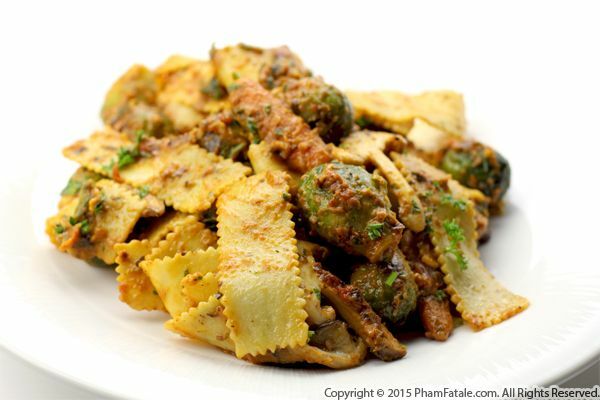 Thicken the sauce with almond butter and Pecorino cheese. You can thin the sauce with a bit of pasta water. 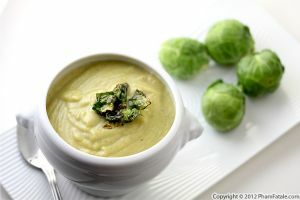 Turn off the heat and add the Brussels sprout and carrots. Lastly, return the pasta and mix until well coated. Add more salt if necessary. 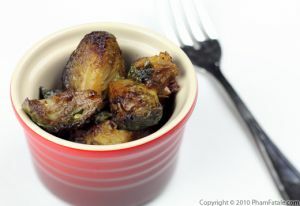 Boiling the Brussels sprouts helps to make them more digestible. 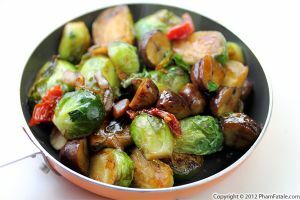 Make sure you drain all the liquid from the Brussels sprouts as it can turn the dish very bitter. Published By: Jacqueline Pham on April 9, 2015.